Scientists have managed to build an artificial jelly fish entirely from rat cells, which can pulse and swim when exposed to an electric field, just like its living counterpart. Taking cells from the heart of a rat, the team of scientists from Harvard University were able to grow a single layer of muscle on top of a patterned sheet of polydimethylsiloxane. 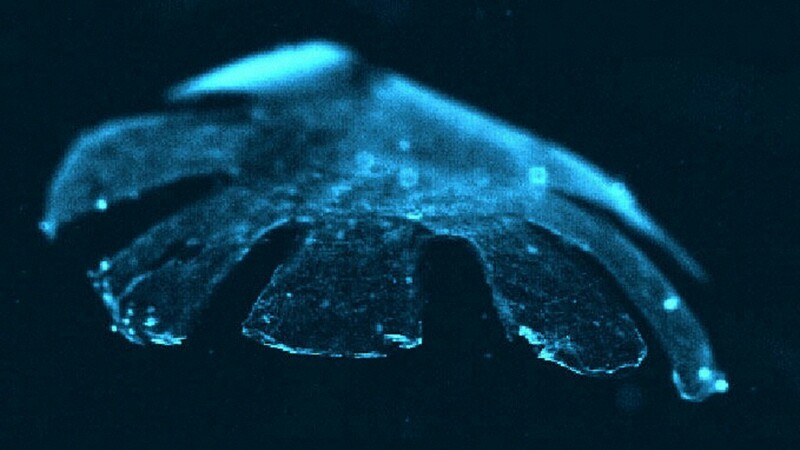 The result mimics the bell of a juvenile moon jelly — a type of jelly of fish — which propels itself by sending electric signals through the structure to make it contract rapidly. "Morphologically, we've built a jellyfish. Functionally, we've built a jellyfish. Genetically, this thing is a rat... We took a rat apart and rebuilt it as a jellyfish."